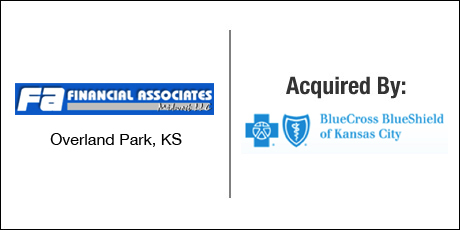 The Buyer: BlueCross BlueShield of Kansas City is the largest health insurance provider in the Kansas City area with more than one million subscribers and has been offering health benefits for over 70 years. The Seller: Financial Associates Midwest, Inc. was founded by Charles T. Stumpf in 1976. Mr. Stumpf grew his company into a nationwide brokerage firm specializing in group and individual health products, life, dental, disability and retirement annuities. At the time of the sale Financial Associates Midwest, Inc. served over 5,000 brokers and had written in excess of $300,000,000 of health insurance premiums. The Close: The Seller engaged DVS with the intention of negotiating exclusively with Blue KC before taking the company to a broader market. Financial Associates Midwest, Inc. was one of Blue KC’s largest distribution channels in Missouri and Kansas. The DVS Group identified the value of this business relationship and leveraged it to drive a premium sale price of their client’s company.